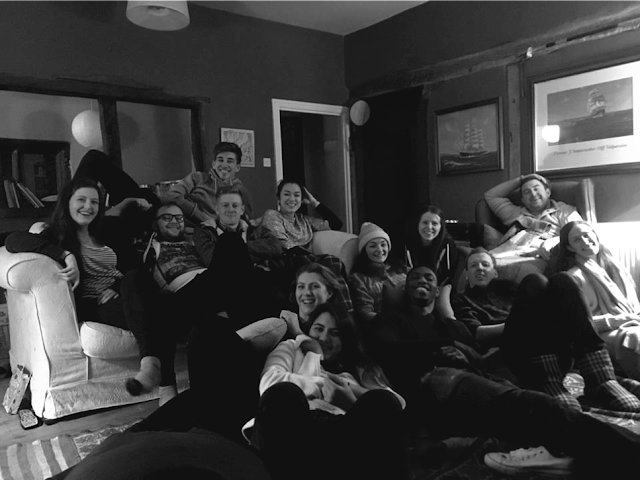 Last weekend was the first Youth 2000 team retreat in Walsingham, our new HQ. That's right, if you hadn't already heard, our offices have moved from London to England's national shrine! 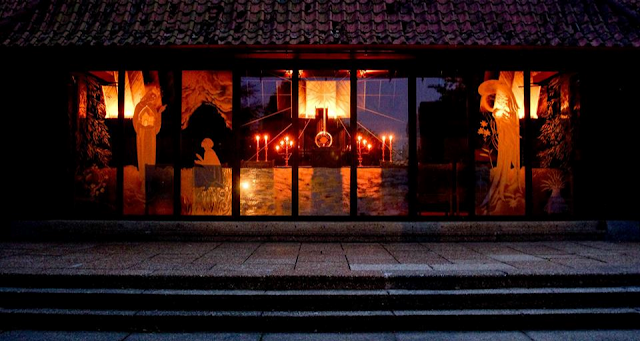 You'll probably also be aware that Walsingham is also where Youth 2000 has held it's summer prayer festival for many years now, so it has always been a special place for us. So why Walsingham? And why has it always been so close to the mission of Youth 2000? 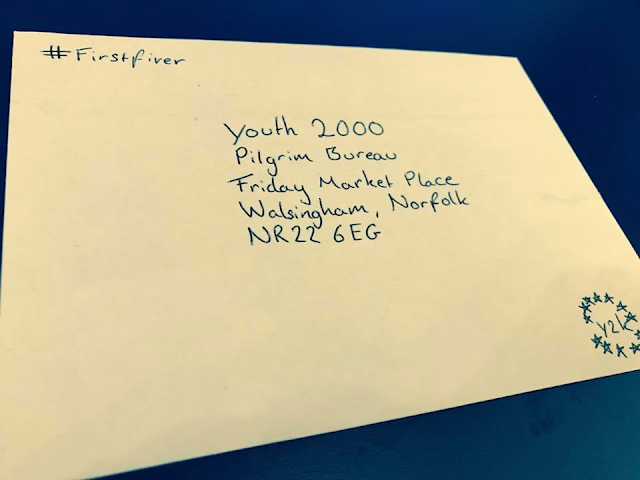 We thought we'd pose these questions to Walsingham Development Coordinator and Youth 2000 employee, Nicky Lynas. 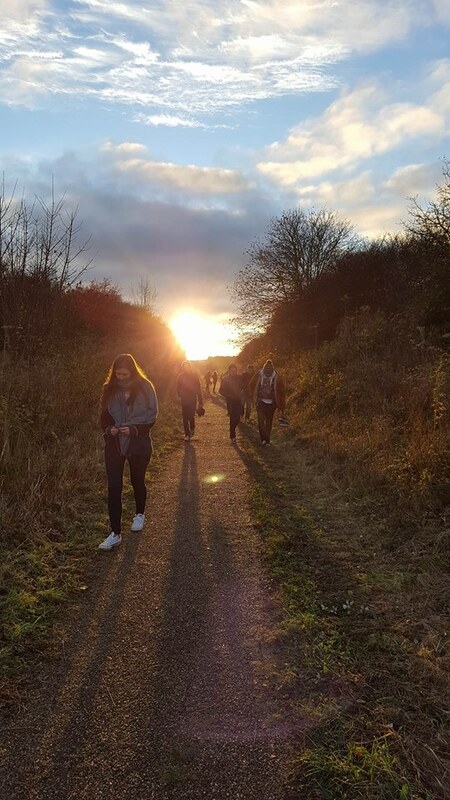 Nicky is one of the three staff members that moved to Walsingham this October, and this is what she had to say. First of all I just want to talk a bit about the history of Walsingham, which has been a bit of a baptism of fire for me over the last week! I've already learned so much and it’s just been a huge privilege to be here. Everyday, I’m waking up thinking ‘how did I get to be here in this place of grace’. It’s just phenomenal, and you realise what’s gone before and what’s still to come. 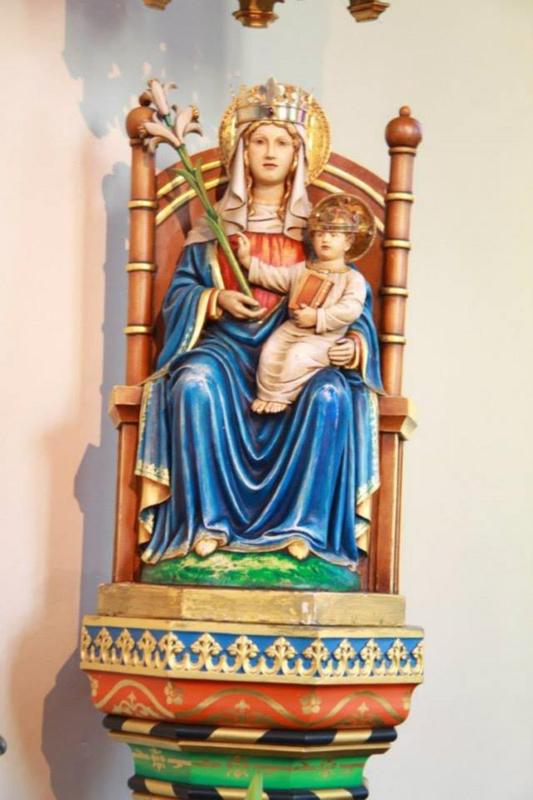 In 1061, Lady Richeldis de Faverches, the wife of a Norman lord, prayed to Our Lady that she wanted to build something in honour of her. Richeldis then was taken in spirit to the holy house of Nazareth, after which, Mary asked Richeldis to build a replica of Jesus's family home, in England. That way, people could make this pilgrimage to Nazareth in England (hence 'England's Nazareth'). Soon, Walsingham became famous, with pilgrims coming from all over Europe, Edward the Confessor and Richard the Lionheart to name a few. Something interesting that I found out is that Walsingham became so busy with pilgrims at its peak, just before the reformation, that people renamed the Milky Way the Walsingham Way. The Milky Way (the star constellation), because the myriad of stars that went with it was like the myriad of people that were travelling to Walsingham. Walsingham became one of the four major sites of pilgrimage, so it was up there with Rome, Jerusalem and Compostela. 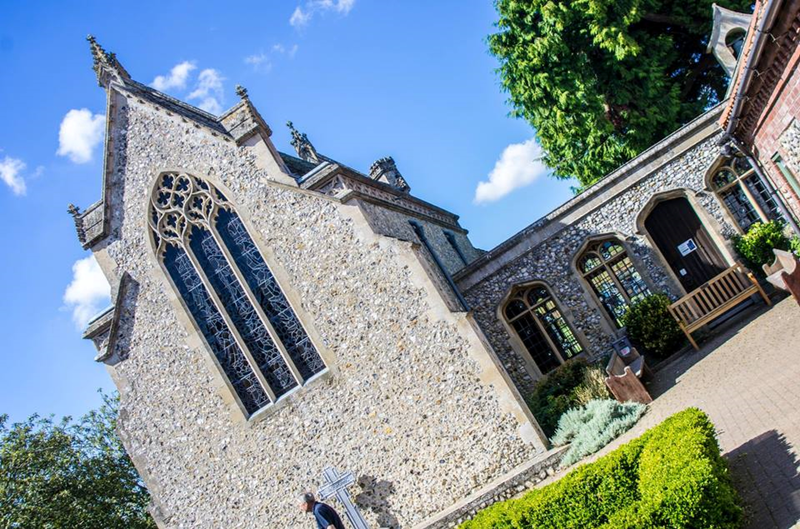 It was one of the few pilgrimage sites in England that people from abroad would come to, especially when the wars were going on in the Holy Land, people would instead pilgrimage to Walsingham. Suffice to say, it was a big deal. The Holy House was what people came to see, but unfortunately it was destroyed in the reformation in 1538. The shrine was then restored in 1896. ‘The pilgrim’s journey is long, and begins with a parting. and then sets off courageously. And so prayer makes its way to God more easily. and gives rise to prayer in common: singing, exchange of thoughts and feelings. There was a time during the middle ages when people wanted to go on pilgrimage so badly, that they actually started to have to go to their bishop to get permission to go on pilgrimage so that there were still enough people left in the village to work. Often men were asked to write their wills before they left. People were desperate to come, they felt moved to leave everything behind and to make this pilgrimage. I love that idea of letting go of everything, and you very much do that on pilgrimage. You have to turn your phone off, and just leave all your worries at home, and in leaving them and the people that you’re worrying about, you have to entrust them to God again and just say ‘right, they’re in your hands, I can’t do anything right now for them’. So it requires trust to be on pilgrimage. In the modern day it takes more effort to make that disconnect and to make that time sacred, but perhaps then it is even more worthwhile. A place of pilgrimage also unites us with the Church in heaven. When we look to them, we remember what our pilgrim journey is really aiming for. The message here, is that Our Lady was completely emptied and able to surrender to God’s will fully. To say yes. Her fiat. And so when we make our journey here on pilgrimage, that should be one of the main things that we bring: that desire to empty ourselves of our own will, and the courage to ask God to lead us completely. That message of surrender keeps hitting me. All the major grace that I’ve received in my life, was through the lesson of surrender, through stopping myself from trying to do it all through my own strength. Of course we have the idea of grace in nature, but when I actually just stopped and surrendered, when I put everything to the side and acknowledged that it was going to have to be grace in me, that changed things. Allowing that to take place is when I received conversion. I guess that’s what we’re all aiming for, continual conversion. So whatever it is you need to empty yourself of, ask Our Lady to help you in that, and ask for that grace to surrender to God’s will more and more.